Seniors that have been diagnosed with arthritis symptoms experience an immense amount of physical and emotional pain. 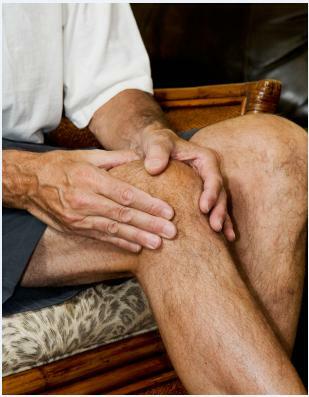 As inflamed and swollen joints cause seniors to experience discomfort while working through their activities of daily living, many elderly people experience emotional stress due to the inability to comfortably get through their day. Many times, physicians will prescribe a medication regimen to help manage physical pain caused by inflamed and swollen joints. Keeping all members of a senior’s care team apprised of medication, including home care providers, is of the utmost importance. Choosing to use a home care agency that utilizes a home care system, such as ClearCare, will help ensure that home care providers give medication reminders to clients thanks to tasks included within care logs of the home care system. Relaxation techniques can help seniors with arthritis symptoms feel as though they are in more control of their pain. Different techniques work for different people, including prayer, meditation, or yoga. When incorporating relaxation techniques into arthritis symptom management, ask your home care provider to keep a note in their home care system for caregivers to help seniors facilitate their relaxation time. Support groups can help seniors vent their frustrations to others that are experiencing similar difficulties. Additionally, interacting with other people with arthritis symptoms can provide an opportunity to exchange pain management tips and tricks. Ask home care providers to note support group times in their home care software so that seniors can have transport provided when necessary. Managing pain for seniors with arthritis symptoms requires the attention of the seniors themselves, family caregivers, physicians and home care providers. Take advantage of your home care provider’s home care system to ensure that pain management tasks are attended to no matter who is providing care to seniors in their home.